"Chelsea boots’ first adept was Queen Victoria. Then, in London’s swinging 1960s, youngsters wore their pairs around London’s Chelsea area – hence the name. They never went out of fashion, but are definitely having a moment. With hardwearing mock crepe soles, this pair will make it more difficult to dance holes in your soles." 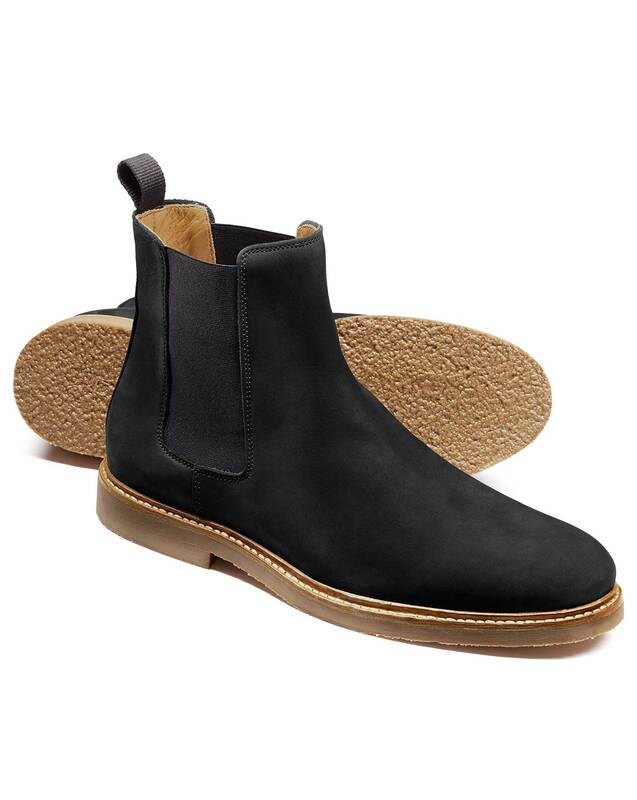 "Timeless nubuck Chelsea boots with elastic sides and mock crepe soles for optimum grip. They look perfect with denim or tailored pants and a merino knit."